Festive Birthday Party 6" Designer Cut-Outs are sure to bring sparkle to any birthday celebration! 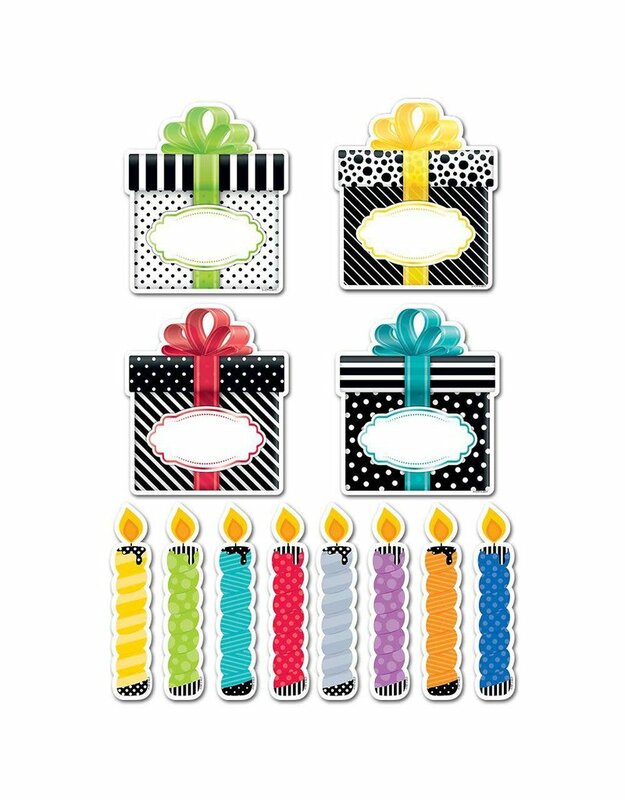 This set features an assortment of brightly colored birthday candles (yellow, lime green, turquoise, red, gray, purple, orange, and blue) with dripping wax and includes bold black and white polka dotted and striped presents with brightly colored bow accents. Great for any birthday celebration from young to old. 6 each of 8 candle designs. 6 each of 4 present designs.